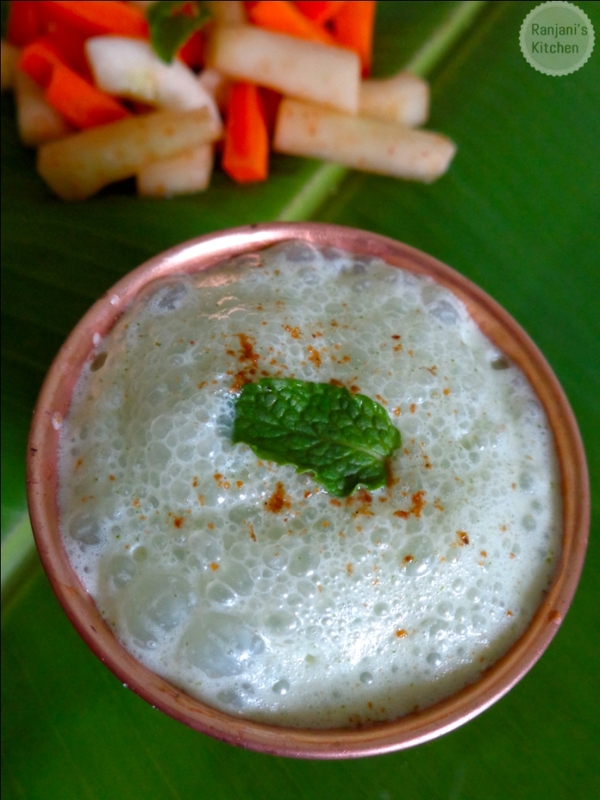 Mint chaas is the best coolant summer recipe. 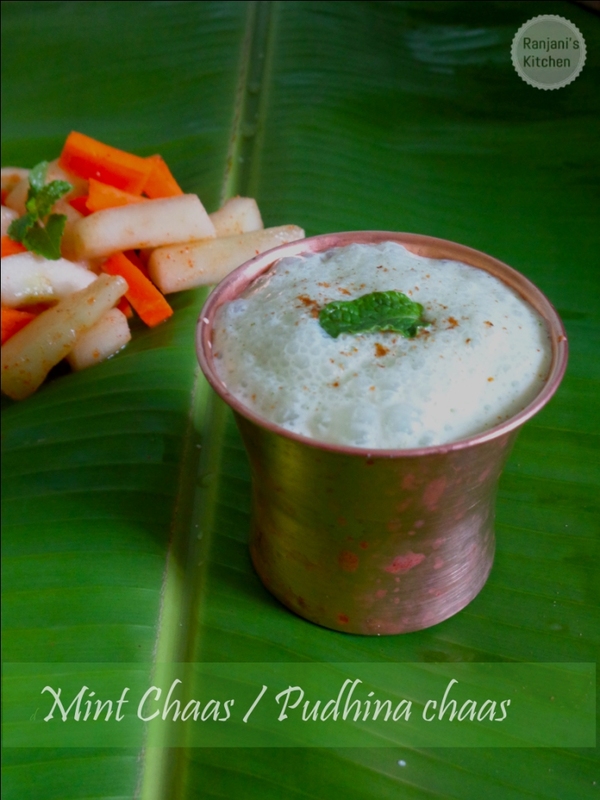 Its an Indian recipe to consume in afternoon to come over heat particularly in summer. 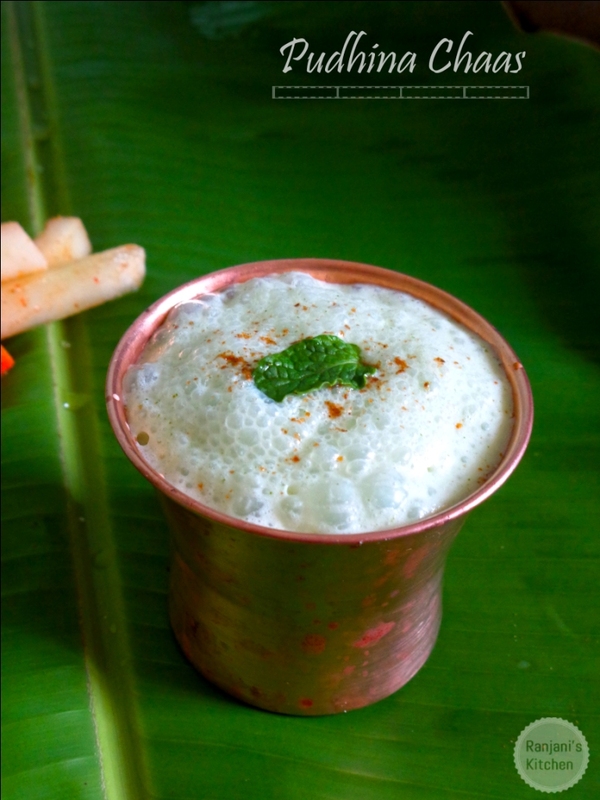 This pudhina buttermilk is a flavourful , spicy and hydrated drink. So can we say its a full package to have in this summer?. Yes 🙂 . Its best to serve as cold. And also with fresh veggies like carrot or cucumber. These combos make a good brunch as well. Take off Mint leaves from its stem, wash thoroughly in water and keep aside. Peel off ginger, wash both green chilli and ginger. Take a cup of thick and chilled curd. In a small mixie jar, add mint leaves , green chilli and ginger. Grind it to a smooth paste using little curd. Then transfer this to large jar, add remaining curd, salt, water and chat powder. Grind for 40 secs to 1 min. You will be getting a frothy and flavourful chaas. Serve in glasses garnishing with mint leaves and sprinkle some chaat powder. If you use thick curd, add ½ cup of chilled water. If it is buttermilk, no need to add water. The amount which i mentioned will yield 2 full glasses. Adjust the levels for the quantity you want to prepare. If the chaas is too thick, you can add little more water.